Posted on February 20, 2018 at 1:27 pm. 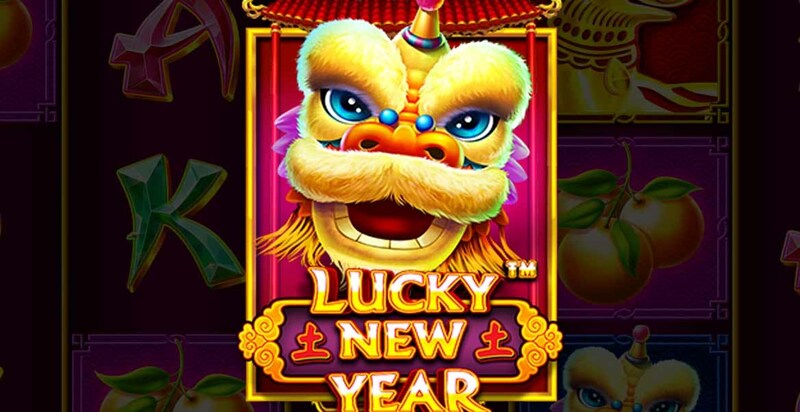 Blossoming iGaming developer Pragmatic Play has released an exciting new slot game, Lucky New Year, with it a bow to the Year of the Dog. The 3×5 pokies release features drums, dragon masks and firecrackers on its reels, while the dog acts as the games wild symbol, appearing in stacks and, of course, barking when you jag a nice spin. Pragmatic Play has been constantly releasing new titles in recents months with Chief Commercial Officer Melissa Summerfield saying two releases per month would be the norm from now on. “We are proud to launch Lucky New Year, a game that builds on our reputation for delivering engaging, best-in-breed video slots,” she said. When you trigger the free spins, the middle reels merge to form just the one which features giant super symbols. This gives players a much better chance of hitting a jackpot. If you jag six or more lucky lanterns you will trigger the rewarding re-spins feature. Every symbol besides the lanterns is stripped from the reels, while each lantern triggers either a direct money award or one of the game’s fixed jackpots. Pragmatic Play is available at many of the leading online casinos in the world. These include mainstream names like Leo Vegas Casino and SlotsMillion.com. Be aware though that this company is licensed in the United Kingdom and some other regulated markets, meaning players from places like Australia and the USA cannot play it for real money.